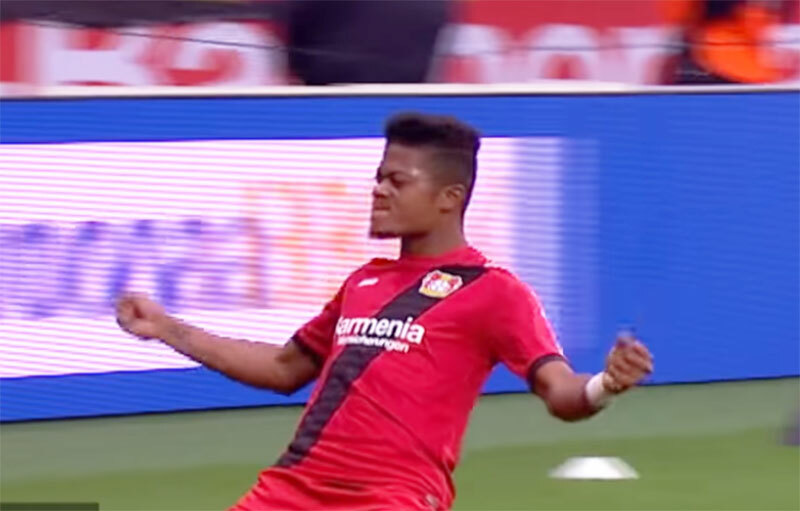 Reports from media outlets in the United Kingdom indicate that Jamaican football star Leon Bailey is reportedly set for talks regarding a possible call up to the England national team ahead of the World Cup. The 20-year-old attack minded winger who plays for Bayer Leverkusen in the German Bundesliga has been in fantastic form this season and continues to garner the attention of top clubs around the world. He potentially qualifies to represent England via his grandparents. Reports surrounding Bailey’s eligibility to represent England began to surface a few weeks ago and it has been reported that his father Craig Butler is to have discussions with the technical director for England’s senior men’s team – Dan Ashworth in a few days. “I will be speaking to Dan Ashworth at the FA next week, but now it is a definite no as far as playing for Jamaica is concerned. “That will come (going to World Cup) we will speak to them (FA), look at all the options and see what they have planned for my son. Bailey has never represented Jamaica at the senior level but he did play in a friendly match for Jamaica under-23’s on 8 March 2015 versus the Cayman Islands under-23 side, where he scored directly from a freekick.